Provide comfort for the family of James Brown with a meaningful gesture of sympathy. Mr. James O. 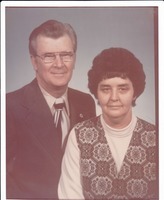 Brown, age 88 of Lavonia Road, Bowersville, Georgia passed away Wednesday, January 2, 2019 at Hart Care Center in Hartwell, Georgia. He was born on January 29,1930 in Hartwell, GA. to the late Jack and Ella Rowland Brown. He was a mechanic for Auto Body Repair, a member of Rock Springs Baptist Church and a former Deacon of the Church. He is survived by children; Jimmy (Sandra) Brown of Hartwell, GA. and Louie (Shelby) Brown of Hartwell, GA.; sister; Ruth Teasley of Hartwell, GA.; grandchildren; Jessica Sheriff, Kevin Brown, Jeffrey Brown, Jamie Moon and Ryan Brown; also, 17 great-grandchildren. 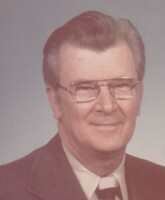 Mr. Brown was proceeded in death by his wife; Barbara Ann Hix Brown, siblings; Joe Brown, George Brown, Wade Brown, Ralph Brown, Jack Brown and Floy Wilson. Services for Mr. James Brown will be held Saturday, January 5, 2019 at eleven o'clock in the Sanctuary of Rock Springs Baptist Church. The family will receive friends Friday, January 4, 2019 from 6-8pm at Coile and Hall Funeral Directors, 333 E. Johnson Street, Hartwell, Georgia 30643. The family is at their respective homes. Coile and Hall Funeral Directors will be serving the Brown family. To send flowers in memory of James Brown, please visit our Heartfelt Sympathies Store. Provide comfort for the family of James Brown by sending flowers. Kenneth and Patsy Bailey are sorry. Sing with the Angels! I'll see you soon.